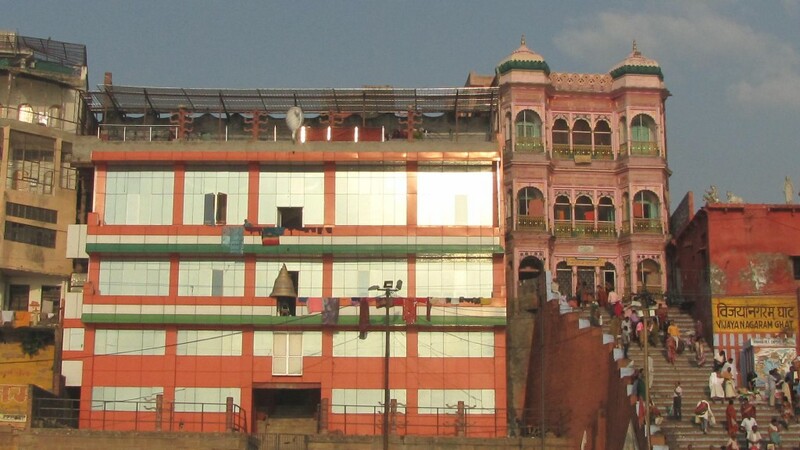 A landmark High Court Order has exposed new illegal constructions built by demolishing an old palace located on the Ganga riverfront ghats in Varanasi. The Allahabad High Court judge bench of Justice Ashok Bhushan and Justice Arun Tandon studied documents and photographs shared by the Kautilya Society and submitted that new constructions have been made in the Darbhanga Palace in the “guise of restoration of the building”. 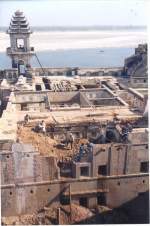 They further stated that these constructions were in violation of the U.P. State Government Order dated 11 April 2001, were contrary to Varanasi Development Authority’s (VDA) sanction conditions and did not respect the conditional licence granted by the Archaeological Survey of India. VDA will explain all the “non-compliance” of this case. The Kautilya Society has been advocating, for more than a decade, for stricter compliance of the government directive that prohibits new constructions within 200 metres of the Ganga riverfront ghats so that the beauty and stability of the unique Ghats is preserved. 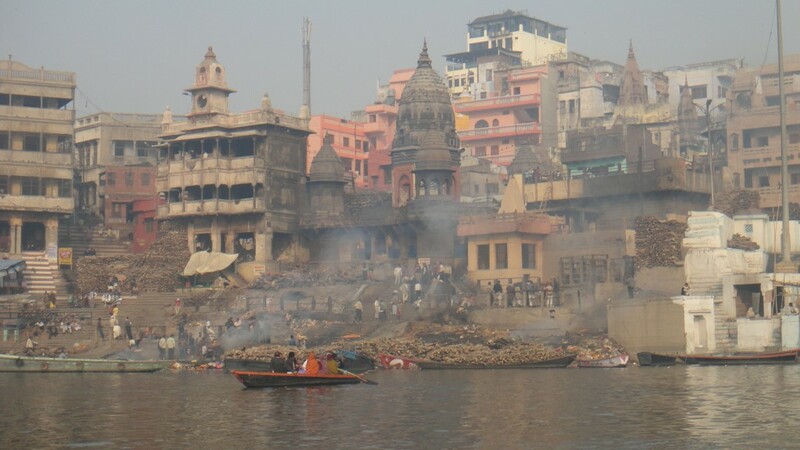 The negligence of the Varanasi Development Authority (VDA) in implementing this directive has resulted in rampant mushrooming of illegal constructions for making hotels and religious structures that encroach the ghats and risk damaging them forever. 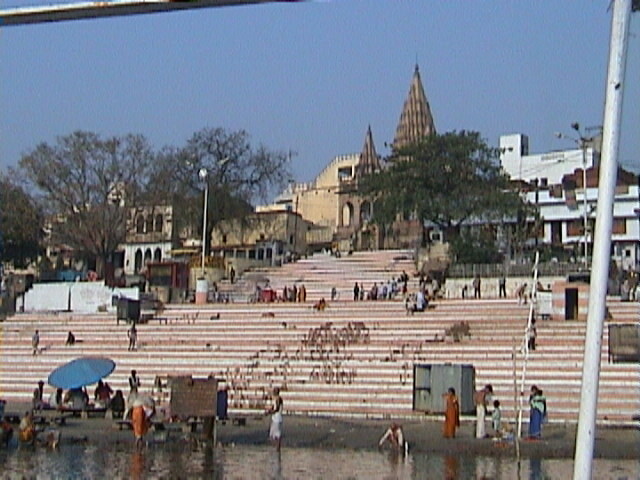 This appeal was made to the High Court as a follow up part of a recently sanctioned Government of India project to make jetties, toilets, shelters, big bathing platforms, parks, kiosks, parking area, greening, 9 metre wide and 635 metre long promenades, as part of an ambitious riverfront development plan on and around Assi Ghat in Varanasi. Reminding the Varanasi Municipal Corporation and the state government about the Government Order prohibiting construction along the Ganga, Justice Ashok Bhushan and Justice Arun Tandon questioned the added value and sustainability of large scale construction activity on the ghats on the Ganga riverfront Ghats in Varanasi and categorically denied all permission to build permanent structures on the ghats. The Hon’ble judges also expressed serious concern on government sanctioned plans and schemes that destroy heritage, pollute the River Ganga and completely ignore civil laws and Government Orders. 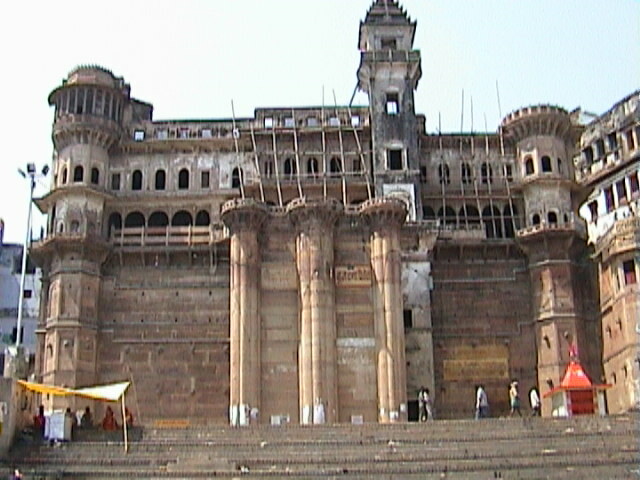 In its counter affidavit to the government’s appeal for permissions to make permanent structures on the riverfront Ghats, the Kautilya Society questioned the soundness of a development plan that followed a top-down approach and did not take into account the protection of the natural, architectural and cultural resource of this unique city of Varanasi and that promoted new construction without protecting, rehabilitating and strengthening existing structures and Ghats. In response to an appeal by the Kautilya Society, the Hon’ble judges of the Allahabad High Court have asked the Varanasi Development Authority to speed up resolution on cases of illegal constructions that are pending in lower courts as well as to completely demolish the illegal structures that have only been partially demolished by them. The next hearing of this Public Interest Litigation on 2 September 2013 is expected to include clarifications by the central and state governments on their ambitious plans on riverfront development.